Doctor Pace is a graduate of the University of Malta Medical School and completed his dermatology training at Manchester Skin Hospital, United Kingdom. He is adjunct Clinical Professor of Dermatology at Jefferson School of Medicine and emeritus Foundation Chair of the University Department of Dermatology at Boffa Hospital, Malta. He maintains a private practice at the Chemimart Clinic, Floriana, Malta. Doctor Pace is Secretary-General of the European Academy of Dermatology & Venereology, President of the Maltese Association of Dermatology & Venereology, and a member of the American Academy of Dermatology, American Dermatological Association, and the International Academy of Cosmetic Dermatology. 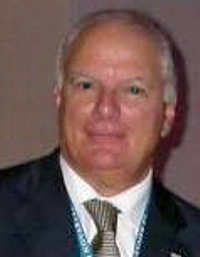 His interests include acne in women, cutaneous leishmaniasis, and computer assisted diagnosis of early melanoma.